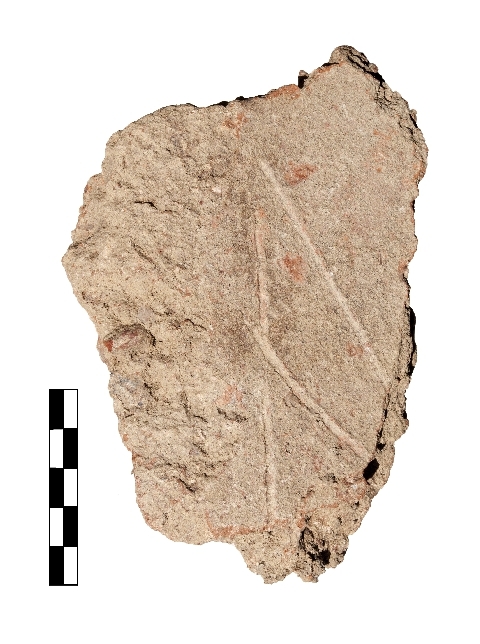 Description Preserved is the top part of a digamma, 0.085 m long, with the ends of the two slanting lines not preserved. Pres. Max. Width of letter 0.034 m.